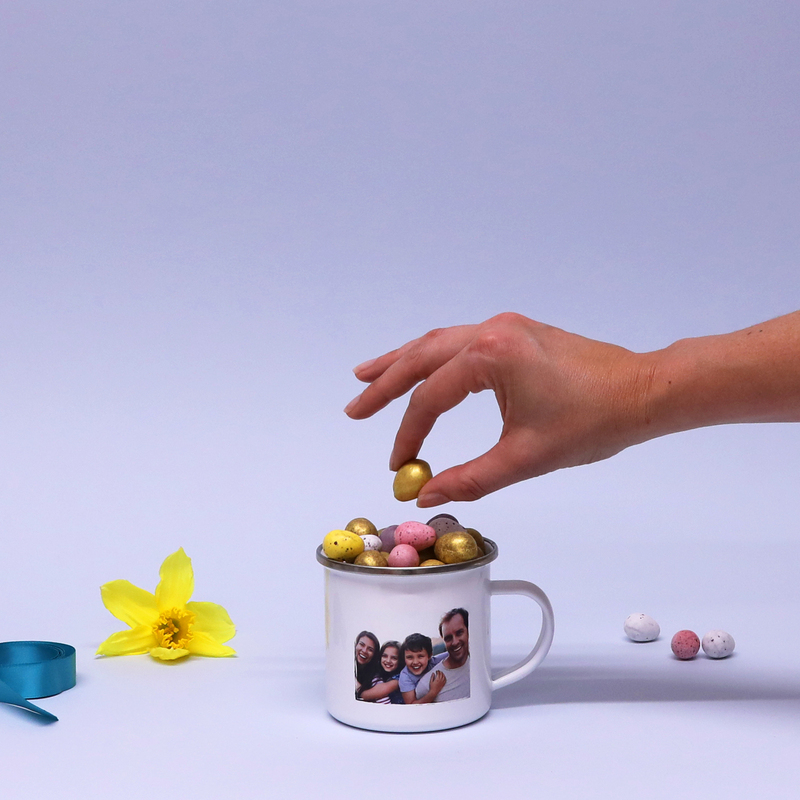 Try this for an idea: instead of chocolate that disappears into little tummies in a flash, give each member of your family a personalised mug filled with little chocolate eggs. Even after the sweets are gone, you all have something to remember. And of course, with a mug the chocolate doesn’t have to stop – just drink it year round, instead. You can put a photo of each family member on their own mug to stop arguments over whose is whose. Or choose each person’s favourite colour for the inside, with our Colour Bright Mugs (pictured above). If you’re wondering how to wrap your mug, don’t worry! 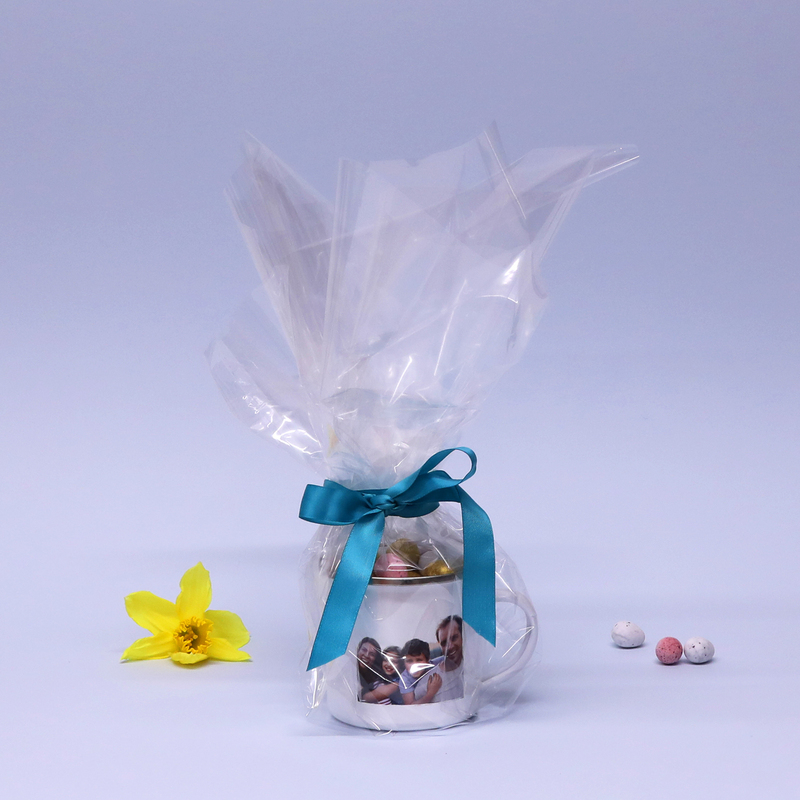 It’s easy with just a little bit of cellophane and ribbon, demonstrated here with one of our cute Enamel Mugs. Or, if you want more detailed instructions, read our post about How to gift wrap a mug.